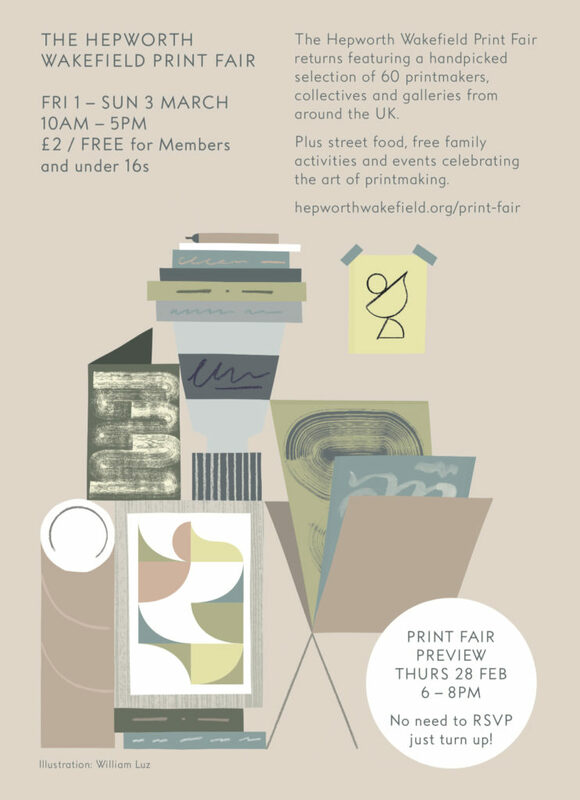 I am very excited to be taking part in the Hepworth Print Fair in Wakefield (1-3 March). 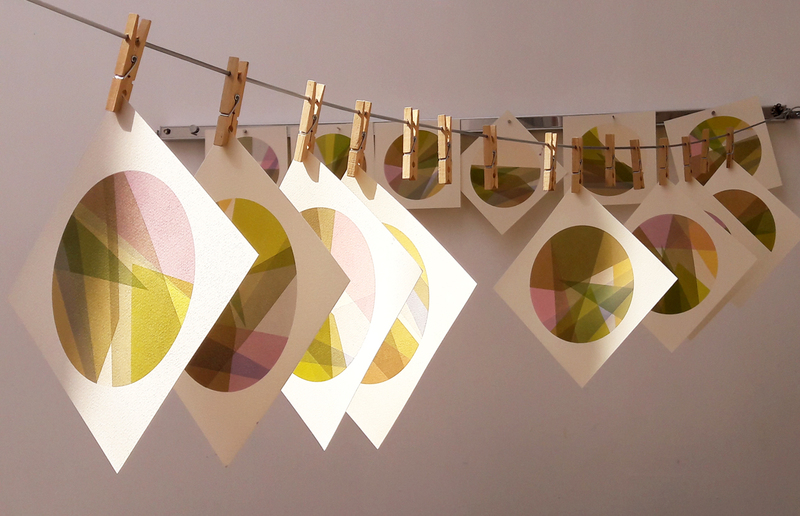 I visited the fair last year and was extremely impressed by the range and talent of printmaking on show. I am honoured to be 1/60th of this year’s celebration of print. If you are in the area, come and say ‘hello’, or make a trip to Wakefield especially for the fair – I am sure it will be worth the drive. This entry was posted in blog on 26/02/2019 by admin. The time I thought would never come is almost here! A bit more polishing and I will have a final version of my light up pebble. Depending on which orientation you hold him in, he can display 6 different light patterns. Due to my aversion to flashing lights, all his transitions are quite slow and subtle, so you have to take your time, hold him steady and let him settle if you want to see a new pattern – this is not a pebble to be rushed. My favourite is when you hold him upside down, he pulses with light at approximately the same speed as my heart rate. 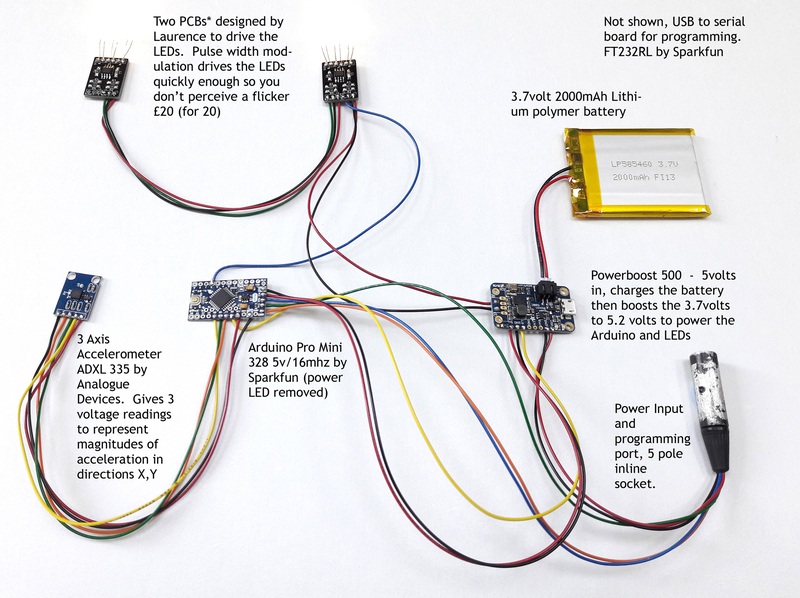 Below you can see the electronics built by Laurence to make pebble work, along with a flow diagram explaining the different light patterns. 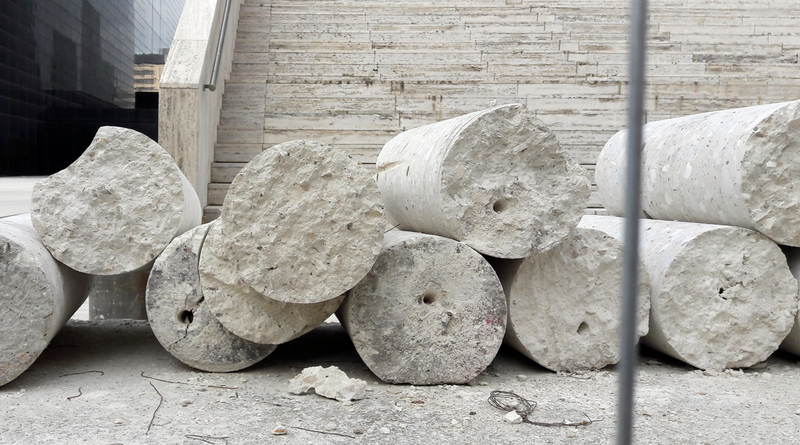 This entry was posted in 3dimensional, concrete, Geology, Light on 10/05/2018 by admin. I’ve been working on a new way of creating images in response to landscape. These smaller circle prints are created in a similar way to my big geological circles in that I use a single circle stencil and mask off areas to create the different shapes. I have placed each section of colour in a different position on each print, so although each one in the series is created from the same shapes and colours, each one is unique rather than being part of an edition. The forms and colours in these prints come from a memory of a walk along the coast near Minehead. I find it very difficult to hold an image of place in my mind, but colours seem to stay put. This entry was posted in blog, colour, experiments, permutations, print, screen prints, translucent on 12/12/2017 by admin. I’ve been emptying photos off my phone and found these. 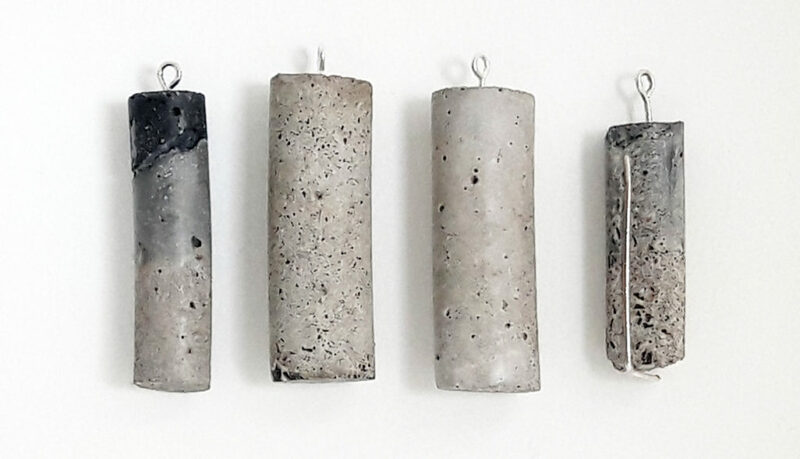 I thought it was interesting to see how an idea developed from seeing these wonderful concrete chunks on a building site in Rome, through to finished pendants. These were a collaboration with the lovely Sarah from Flux and are currently on sale in the gallery on Upper Maudlin Street. This entry was posted in blog on 11/08/2017 by admin. 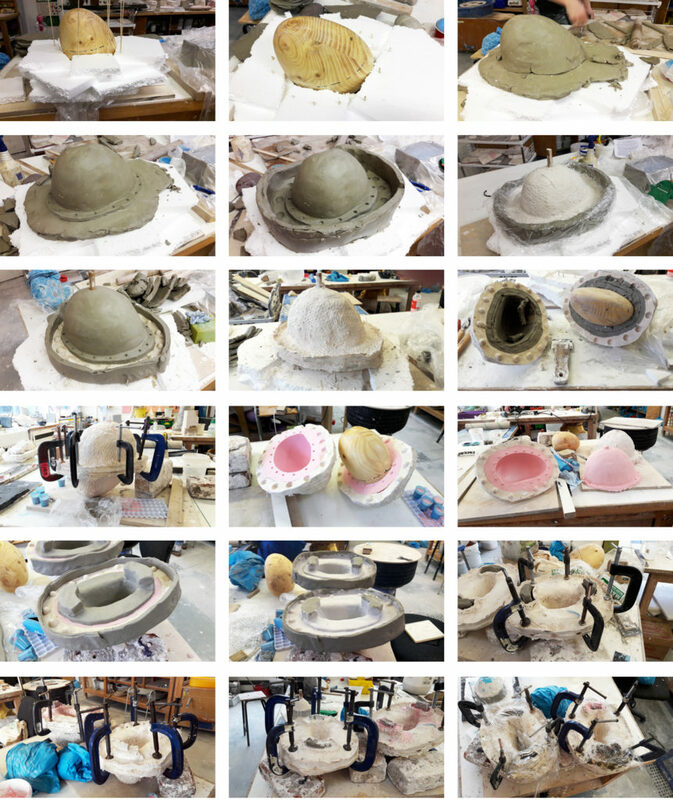 Mould making is a strange business! It may look like I am making very odd Christmas puddings and hybrid jellyfish / doll heads, but this is actually my first experiment into finding the best fibre optics to use for my light up pebble. 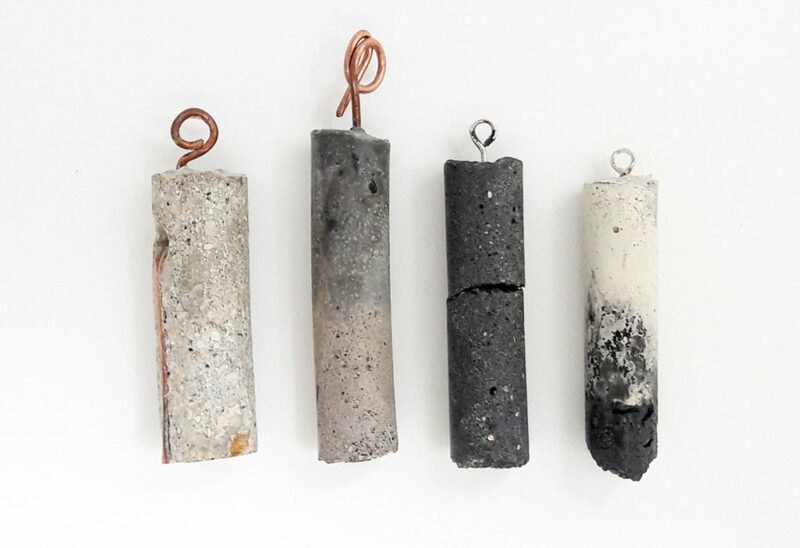 This entry was posted in 3dimensional, blog, concrete, experiments, Light and tagged concrete, pebbles on 08/08/2017 by admin. 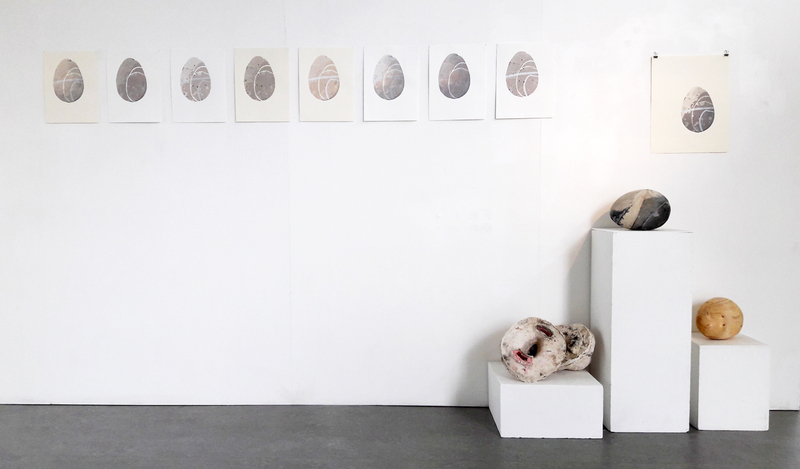 My fellow part time MA Design students and I recently put on a show of work in progress at UWE. 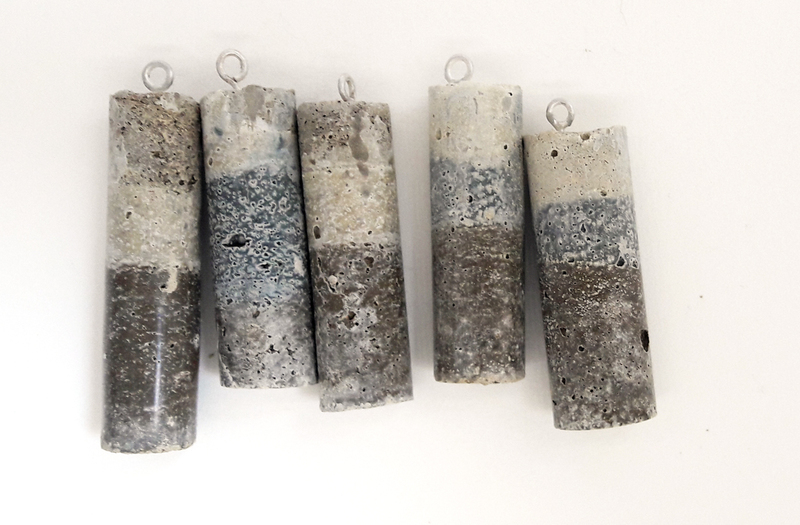 I found it really interesting to show preparatory work, the work that has actually taken me longest and caused most heart ache, alongside finished pieces – the hideously ugly mould which took me months to make, alongside the carefully polished concrete piece that finally came out of it, eight of the many colour experiments with the finished pebble screenprint which they eventually led to. A really helpful and instructive experience. This entry was posted in concrete, exhibitions, experiments, permutations, screen prints, shows and Exhibitions on 20/05/2017 by admin. Thank you to all who came and saw our show at Centrespace and gave us such fantastic feedback, and thank you to Ruth for being such a joy to show with! 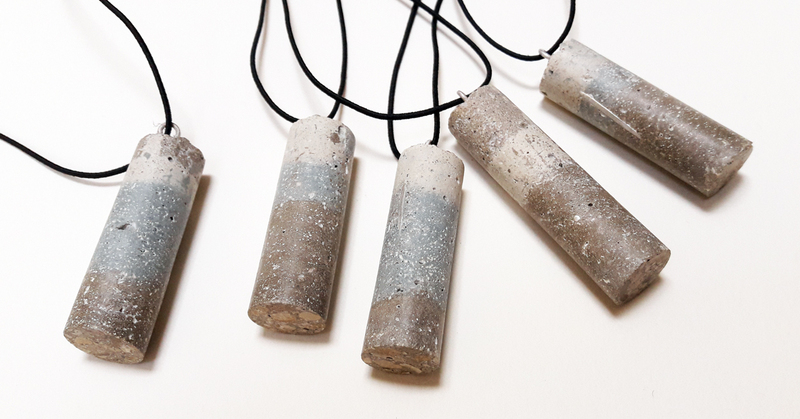 It has been such a boost to talk to people about my work, and for them to understand and appreciate what I am talking about, and not think that I am round the twist for loving maps and wanting to make concrete pebbles. I don’t think I had appreciated just how valuable the experience of getting work out of my studio space and onto walls where it can be seen and commented on was going to be. I will do it again (but not until I have had a good long while to recover). 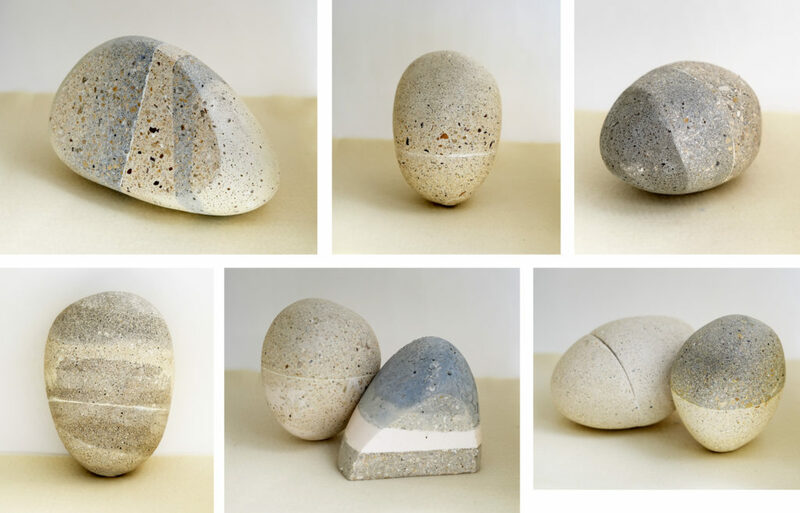 This entry was posted in Bristol, colour, concrete, Geology, screen prints, shows and Exhibitions on 05/05/2017 by admin. I’m alternating between excitement and terror about the fact that in two weeks I will be putting up a joint exhibition with Ruth Broadway at Centrespace. 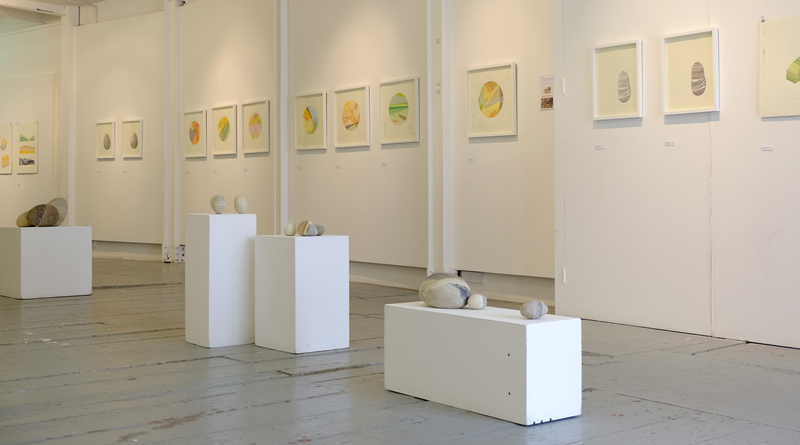 I’m out of my comfort zone – it will be the first time that I have shown a large number of my geological screenprints all together and I am hoping to get my work to a whole new audience. 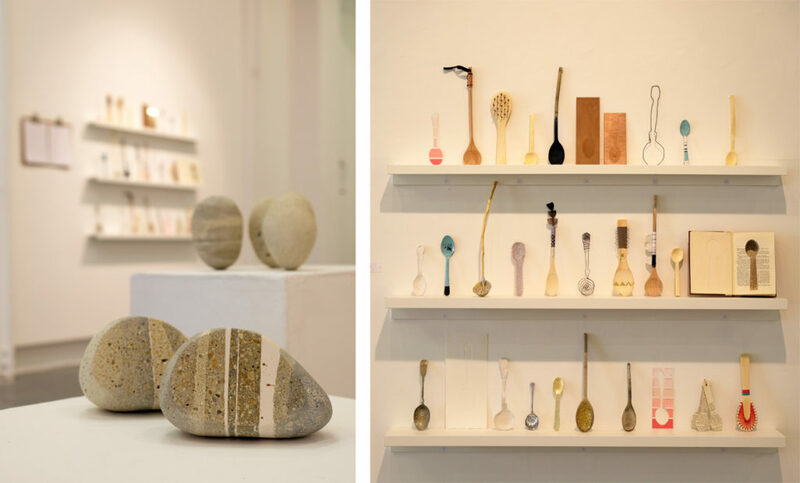 The private view is from 6.30 to 9pm on Thursday 27th April at Centrespace Gallery. Everyone is welcome, the more the merrier – especially if you have a thing for maps, rocks, museums, colour, or just a glass of wine and a chat. 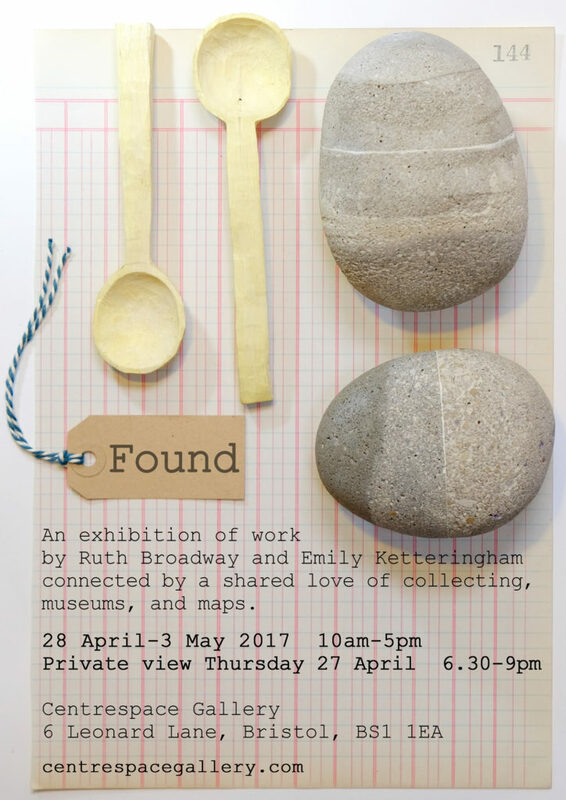 This entry was posted in blog, Bristol, FOUND, Geology, maps, screen prints, shows and Exhibitions on 13/04/2017 by admin. This entry was posted in 3dimensional, concrete, experiments, Geology on 11/04/2017 by admin. I am really proud and honoured to have been awarded the 2017 National Association of Decorative and Fine Arts Societies’ UWE bursary in conjunction with UWE’s Department of Art & Design. This entry was posted in awards, blog, Bristol, concrete, experiments on 24/03/2017 by admin.